The founder of Parsley Health discusses wellness tips and the future of medicine. Experts are saying that in 2017, there will be a "resist health care authority" attitude in favor of a more personalized approach to health. 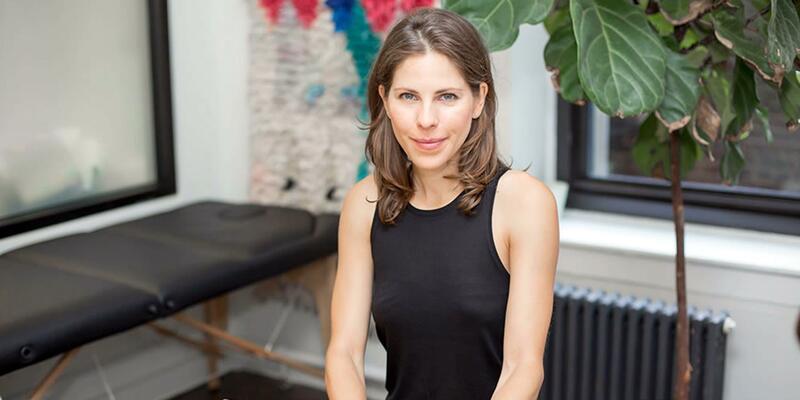 At the helm of this emerging trend is Dr. Robin Berzin, the founder of Parsley Health, a first-of-its-kind, high-techmedical practice, with six physicians spanning New York City, Los Angeles, and San Francisco. 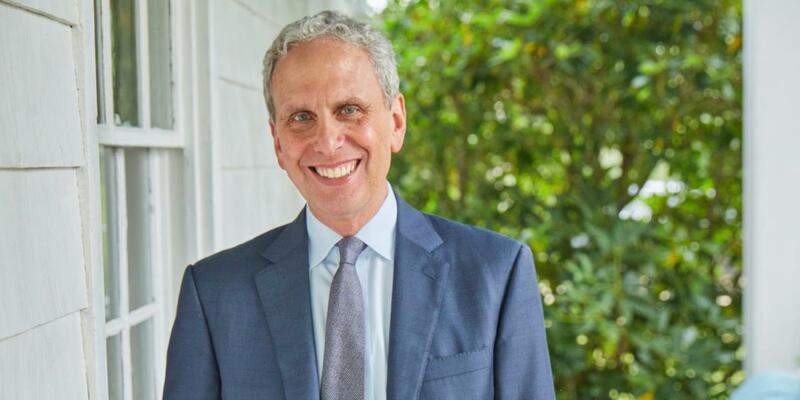 "It's like the Uber of functional medicine," says Berzin, explaining that a functional approach is one that aims not just to treat any diseases or illnesses but also to prevent them. Like Uber, Parsley uses technology to perpetually monitor and improve what they do and offers a constant on-demand service. "Our members get unlimited messaging and continuous care from our doctors and coaches all year long," says Berzin. "We only offer an all-inclusive membership because we know that you don’t get fit going to the gym once and you don’t get healthy going to the doctor once either." The gist: highly trained doctors and health coaches work as a team to curate your ultimate nutrition, supplement, exercise, lifestyle, and medication plan all in one place. Instead of going to several different specialists, Parsley Health functions as a one-stop shop for the fit and healthy to take their wellness to the next level. Parsley has since expanded to the West Coast and is continuing to grow. In between seeing patients and preparing to become a first-time mom, Berzin spoke with us about the future of her company, what we’d find in her fridge, and more. What inspired you to start Parsley Health? I was inspired by the fact that more than 90 percent of our diseases are chronic and lifestyle-driven. We are making ourselves sick with the foods we are eating, the 11-plus hours a day we spend looking at screens, and the sedentary lives we are leading. And yet at Columbia Medical School where I got my MD, I was taught to focus only on managing disease with medications, not on helping people prevent those diseases in the first place. As a yoga teacher and meditation instructor I learned how massively helpful things like eating healthfully and lowering my stress level through meditation could be—I was one thousand times happier and more productive because of them. I didn’t see why we couldn’t have a primary care medicine practice that took all of this into account. I also saw that across medicine no one was using tech or data to modernize and improve the way services were delivered. I deeply believed that your doctor’s office should be as easy to navigate as your iPhone. What do you think is the biggest issue with our healthcare system? That you don’t pay for your care, insurance does, so it is optimized for what the insurance companies want, which isn't necessarily to make you healthier. This has led to a total stagnation of innovation in health care services. If you’re a doctor you can’t risk doing anything differently or better because you might not get paid. Parsley Health is radical because it is outside of that system, meaning we design our health care around you. Because of the incredible data we collect and our comprehensive, proactive approach to health care, we have already shown that we reduce prescription drug use by 60 percent compared to conventional primary care and we resolve conditions like IBS, insomnia, and infertility, saving people thousands of dollars and hundreds of hours going to unnecessary specialists. Where do you see Parsley going? In addition to our upcoming cookbook, The Parsley Table, we are also launching new products. These include proprietary magnesium, Vitamin D3, and thyroid supplements as well as a prenatal vitamin. We only use professional grade supplements at Parsley Health that are tested for safety and actually work. I wake up and walk the dogs, making sure to leave my phone at home so I can have 10 minutes of screen-free mental head space right off the bat. Then I grab a double almond milk macchiato and either get ready for work or head to a local yoga class or the gym. What are your favorite healthy places in NYC? I love Butcher’s Daughter for a healthy meal, Kulafor yoga, andLift Floats for sensory deprivation tank magic. What are three universal tips for staying healthy? 1. Know how to cook a basic healthy meal you love (for me that's a spinach and smoked salmon omelette) so you aren't dependent on eating out. 2. Meditate for 10 minutes every day. Ten minutes of mental space equals 100 minutes of more productive time. 3. Identify one person or community in your life that makes you healthier and invest time and energy in them. For me it’s my yoga community and my Parsley Health colleagues. I admire Gabby Bernstein and Charlie Knoles for bringing both realness and positivity to their message of meditation, and Chris Kresser (naturopathic doctor) for being obsessed with science in the best way. Since you're expecting, what would you tell soon-to-be moms about what to eat when pregnant? Focus on protein, greens, and healthy fat and your baby will have everything he or she needs, while you stay fit, energized, and happy. The biggest culprit I see in pregnancy is sugar;you already have higher blood sugar levels when you’re pregnant and we all eat too much sugar and refined carbs anyway. When pregnant women rely on sugar and carbs they gain too much weight, their moods fluctuate, and they lose energy and strength. It can also lead to gestational diabetes and other problems. It’s hard because you are tired and you want that sugar boost, but I recommend finding extra energy instead via exercise, meditation, being social, or getting involved in your work. What ingredients would we find in your fridge right now? Could you share a quick and easy recipe with us? My favorite meal for when I'm "too busy to cook" is avocado and kale tacos. It's so simple. You dry roast two gluten-free corn tortillas in a pan. Slice up a ripe avocado, some red onion, and kale and massage all three with lime juice, olive oil, and sea salt. Then scoop the avo-kale-onion mix into the tortillas. It's gluten-free, dairy-free, high in fiber and healthy fat, totally filling, and an easy lunch or dinner. Where do you hope the future of health and wellness will go? A place where we as individuals own our health information, can transport it easily wherever we go, and have instant access to the best guides and experts who can help us be healthier and happier at every phase of life.